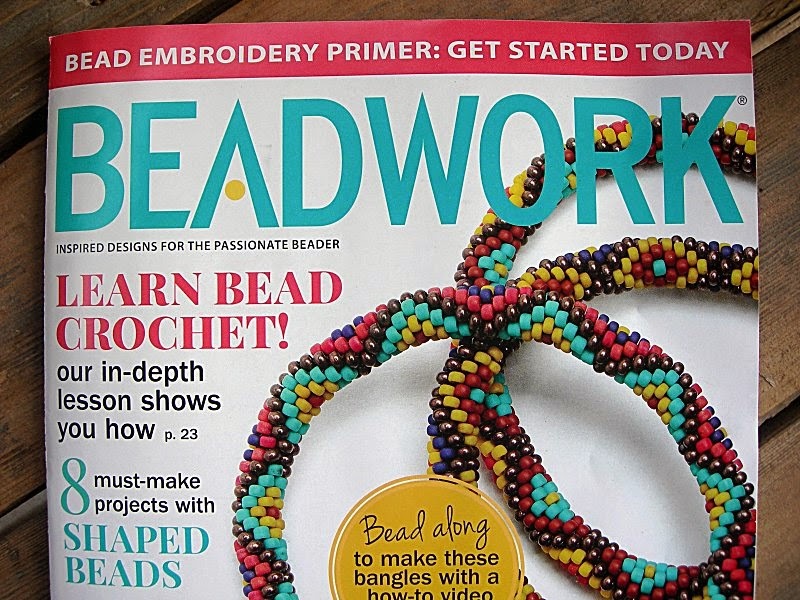 Wow, just got my advance copy of the latest Beadwork magazine. 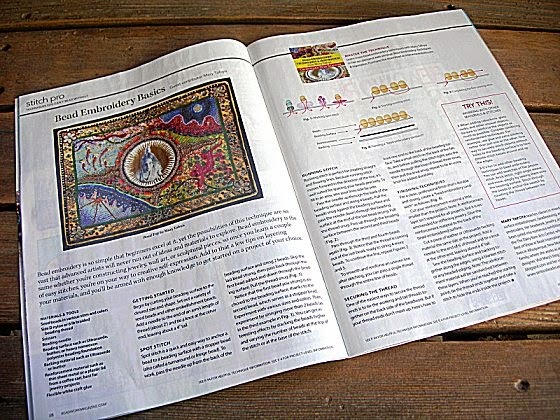 Thanks, Jean Cox, for letting me guest-host your "Stitch Pro" column this (April/May 2015) issue! The two-page spread covers a couple of basic stitches, starting and ending threads, and some tips about materials. And some nice illustrations. And... a humongous photo!